Hey Everyone! 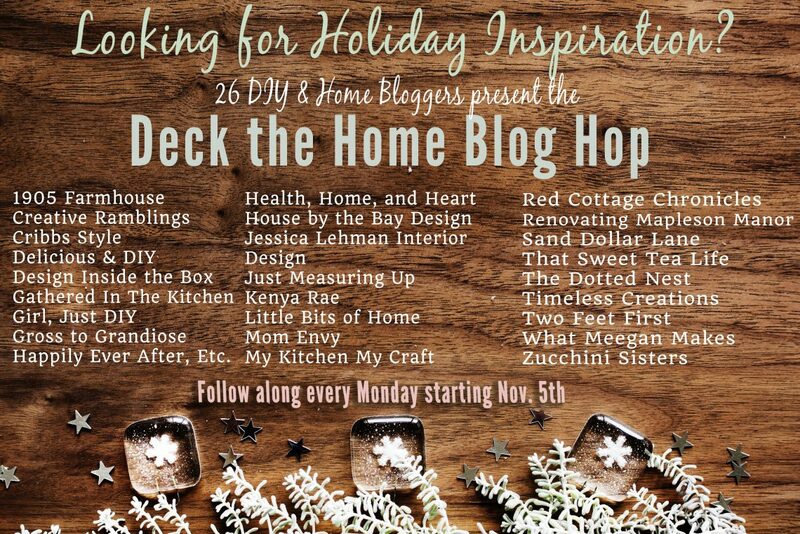 We hope you have been following along with us on this great blog hop this last month. We have been so impressed with all the amazing DIY projects, and holiday decor that has just erupted from this blogger collaboration! I can tell you we have thoroughly enjoyed being a part of it! If this is your first time here – take a look back at our projects and decor from the past few weeks. At the end of every post are all of the links from the 24 other bloggers who took on the challenge as well! 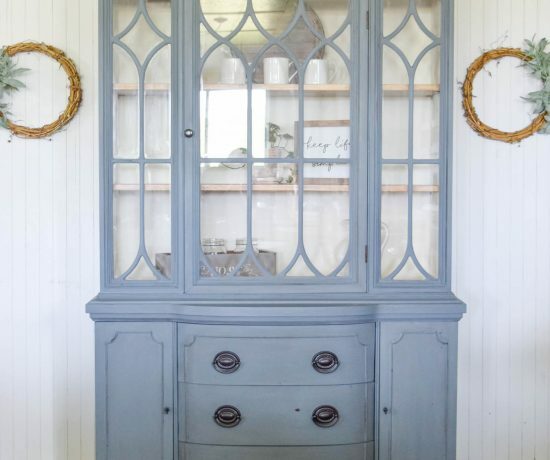 For this week we decided to feature an absolutely beautifully decorated kitchen area. It is brought to you by Amy of Health, Home and Heart! 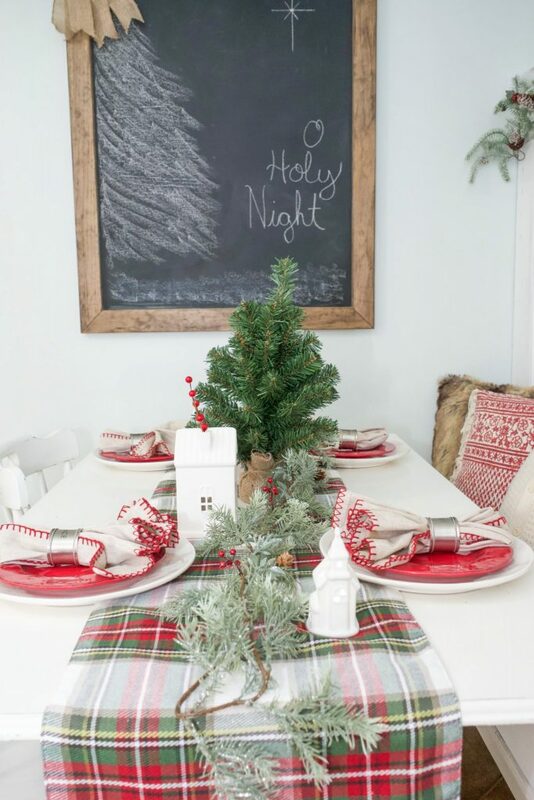 She did a fabulous job decking out her kitchen for the holiday season! 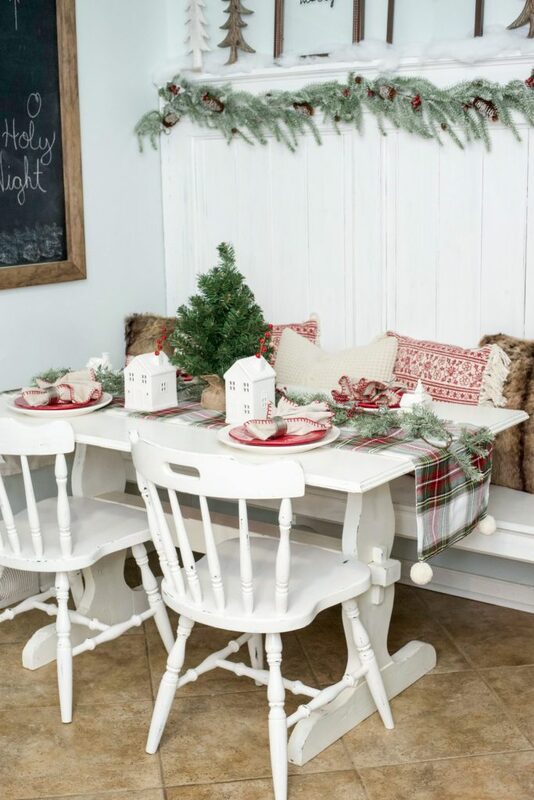 I love the little corner table she has and how wonderfully festive it looks! 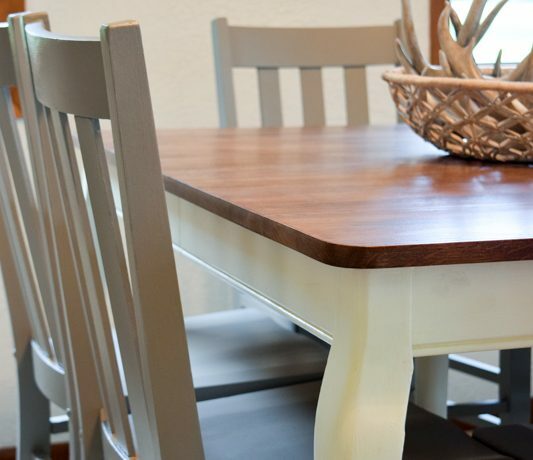 That plaid runner is absolutely beautiful, and ties the entire table together. The added greenery at the top of the bench is so pretty, and even the chalkboard is decorated! Thanks for stopping by today! We will add all of the links from this week to the bottom so you can take a peek at everyone else’s holiday decor for even MORE inspiration! 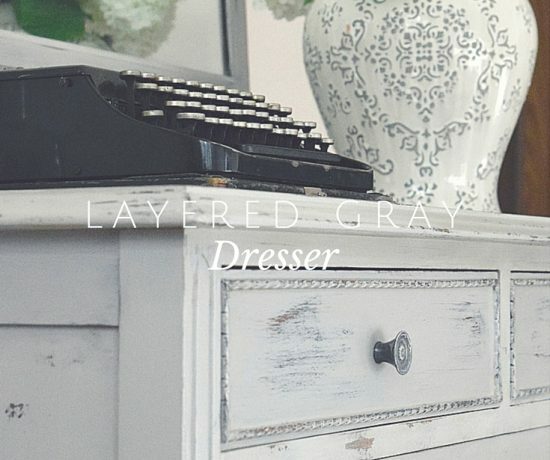 Thank you so much for the feature! I was so excited to see it! It’s been so fun seeing all of your projects and sharing with you over the past month. Have a great week! Well you are very welcome Amy! It was a beautifully decorated space!